SYDNEY – Australians could stave off unhealthy weight gains and could lead healthier lifestyles, if the government imposed a new tax on the sale of soft drinks and other sugar based beverages. On January 17th the Heart Foundation of Australia, the Cancer Council of Australia and Diabetes Australia launched a joint campaign calling for extra taxes to be imposed on the sale of “sugar-sweetened beverages”. The campaign, called Rethink Sugary Drink, is intended to increase awareness of the quantity of sugar that is currently added to some beverages, and to encourage Australians to reduce their consumption of sugar based drinks in order to improve lifestyles and diets in the country. No specific tax measures were detailed as part of the campaign, but it was claimed that leading research now shows that strong taxes can help reduce the consumption of such products. According to the three health organizations calling for the taxes, daily consumption of sugar based drinks can lead to weight gains of nearly 7 kilograms per year. 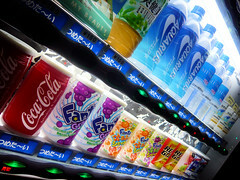 Alongside the call for higher taxes, the three groups also urged the Australian government to reconsider its current laws regarding advertising of sugar based drinks, and also called for a rethink of the regulations on the supply of sugar products to schools in the country.